Join Us At Today’s Butterfly Festival! Balloon Twisting At Community Block Party! 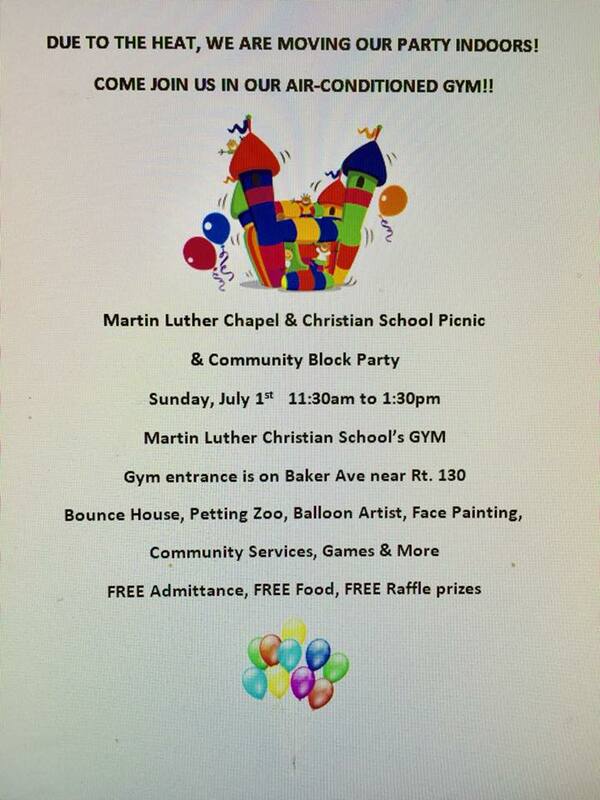 Martin Luther Chapel is holding a community block party today, Sunday, July 1, 11:30 a.m. to 1:30 p.m., on the corner of Baker Ave. and Rt. 130 in Pennsauken. 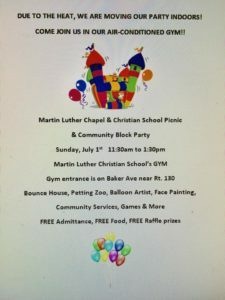 Activities include a bounce house, petting zoo, balloon twisting, face painting, touch-a-construction-vehicle, health fair tables, games, music, free good, free raffles, and more. All activities have been moved indoors to the air conditioned gym. We’ll be balloon twisting during this fun, free event. We hope to see you there! Balloon Twisting Today At The Merchantville Toy And Collectible Street Fair! 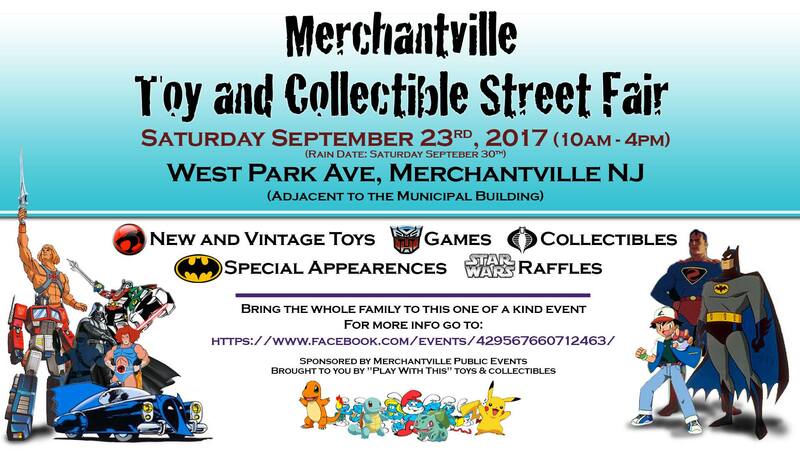 Play With This Toys & Collectibles and Merchantville Public Events are hosting a toy and collectible street fair on Saturday, Sept. 23 from 10:00 a.m. to 4:00 p.m. Held along West Park Ave. in Merchantville, adjacent to the Borough Hall, the event showcases a variety of new and vintage toys, games, and collectibles for sale. In addition, the toy and collectable street fair features food, special appearances from some superhero favorites, and more. We’ll be twisting right outside of Play With This Toys & Collectibles today from right around noon until 2:00 p.m. We hope to see you there! Just Plain Silly At The Delair Spring Festival! Just Plain Silly is proud to partner with the Delair School PTA for the Delair Spring Festival, held Saturday, March 19 from 11:00 a.m. to 3:00 p.m. We’ll be providing balloon twisting and face painting throughout the event; plus there’s going to be a ton of other family-friendly activities. When you add in a bunch of great vendors and our friends at Mary’s Mobile Diner offering some awesome, tasty food choices, it stacks up to be a great day! For more info, watch the video below or click here! The Twistin’ Of The Green At Irish Nite! We’re excited to be back twisting balloons at Mary, Queen of All Saints Parish’s annual Irish Nite fundraiser, held today, Saturday, March 5 from 7:00 to 11:00 p.m. at Msgr. Kavanagh Hall, 48th St. and Camden Ave., Pennsauken. The event features an evening of great food and fun! Tickets are $30 in advance, $35 at the door. Tables of 10 or more can be reserved. 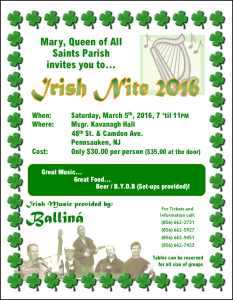 Proceeds go directly to support the parish’s annual expenses. For more information, or to order tickets, call (856) 662-2721.